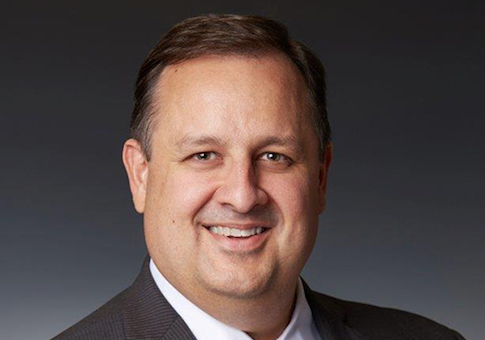 Director of the Office of Government Ethics Walter M. Shaub donated to President Obama before his appointment and defended Hillary Clinton's decision to not disclose paid speeches to the Clinton Foundation while she was secretary of state. Shaub, the head of the little-known ethics office, has been on the attack against President-elect Donald J. Trump for months. Shaub has called Trump's plan to sign over control of his business to his sons "meaningless," and engaged in tweet storms from the official ethics Twitter account encouraging Trump to divest. A timeline compiled by the PAC America Rising of Shaub's service at the ethics office revealed Shaub donated to Obama before his appointment in January 2013, and has a record of defending Hillary Clinton when she was a presidential candidate from ethics concerns. Shaub donated $500 to Obama's reelection campaign in 2012. When Clinton came under fire for not disclosing paid speeches to the Clinton Foundation while she was secretary of state, his office said disclosure was not required. Shaub has now become a "key player" in the presidential transition process, as his office is responsible for reviewing financial disclosures of executive nominees. He sent a letter to Senate Democrats urging the slowing of the confirmation process of Trump's nominees because some of their financial disclosure reviews had not been completed. This week Shaub trained his sights on Trump, criticizing the president-elect's plan to avoid conflicts of interest by signing over control to his sons Donald Jr. and Eric, and terminating all pending deals with the Trump organization. "You don't hear about ethics when things are going well. You've been hearing a lot about ethics lately," Shaub said in a speech at the Brookings Institute this week. "I need to talk about ethics today because the plan the president-elect has announced doesn't meet the standards that the best of his nominees are meeting and that every president in the past four decades has met," he said. "My hope is that, if the Office of Government Ethics can provide some constructive feedback on his plan, he may choose to make adjustments that will resolve his conflicts of interest." "We can't risk creating the perception that government leaders would use their official positions for profit," Shaub said. Shaub struck a different tone when testifying before the House Committee on Oversight and Government Reform in December 2015, when he was asked about Secretary Clinton's failure to disclose six-figure dollar speeches her husband gave to foreign governments and donors while they had interests before the State Department. "The statute is a very long, very detailed statute," he told Committee Chairman Jason Chaffetz (R., Utah) when defending the speeches as allowed under ethics rules. "Why don't we pursue maximum disclosure of anything that could be potentially relevant or interesting to anyone? It's simply because we're a nation of laws and OGE is specifically regulated by an extremely detailed, highly prescriptive statute," Shaub said. "Congress left us almost no discretion in terms of interpreting this statute. We apply it uniformly to everyone across the board." Shaub said it was satisfactory to not disclose the speeches—which totaled $26.4 million to the Clinton Foundation from corporations, foreign donations, and universities—because Bill Clinton was acting as an "agent" for a charity. The speeches included $500,000 Bill Clinton received for remarks before a Kremlin-tied investment bank in Moscow in 2010, while the Russians were negotiating to acquire a uranium company full of Clinton Foundation donors. The Uranium One deal was signed off by Hillary Clinton's State Department, giving Russia control of 20 percent of uranium production capacity in the United States. Several ethics lawyers said Clinton's failure to detail the paid speeches ran afoul of disclosure rules and the ethics agreement between the Obama administration and the Clinton Foundation to disclose foreign donations to avoid conflicts of interests. However, the "ethics mavens at the Office of Government Ethics," run by Shaub, said the speeches were fine. "Disclosure of speaking fees is not required when a public filer or the filer's spouse is acting as an agent of an organization and payment is made directly to that organization," a spokesman for the office said at the time. "The rule is different when the speaking is done in a personal capacity and the fees are directed or donated to charity, in which case disclosure would be required." Shaub now says he has "great concern" over the speed of the confirmation hearings for Trump's nominees, sending a letter to Senate Minority Leader Chuck Schumer (D., N.Y.) and leftwing Sen. Elizabeth Warren (D., Mass.). Citing the ethics office, Democrats have lobbied to have confirmation hearings for Trump's nominees delayed, and hearings for four nominees have been postponed so far. The speed of Cabinet confirmations was quick in 2009, as the Senate confirmed seven Cabinet nominees on President Obama's inauguration day, with one exception. The vote to approve Hillary Clinton's nomination as secretary of state was delayed due to a request for "more financial information about former President Bill Clinton's charitable foundation," the Washington Post reported. This entry was posted in Issues and tagged Clinton Foundation, Donald Trump, Ethics, Hillary Clinton, President Obama, Trump Administration. Bookmark the permalink.